Where do I download the AMD Catalyst 14.3 Beta V1.0 drivers? Just yesterday, AMD released new beta drivers for their many graphics cards. Odds are, you either own an AMD card or one from their competitors, nVidia or Intel. Download the AMD Catalyst 14.3 Beta V1.0 driver. Assuming you do have an AMD card, it may be a good idea to grab this driver, especially if you play recent games. Here’s a list of specific improvements, though you may see improvements in other games. 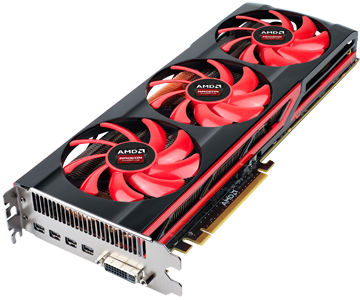 The Radeon HD 7990 is one of many cards affected by this update. As always with beta drivers, install at your own risk, as you carry the risk of possible bugs that are ironed out before any official release. If you do experience glitches, simply boot in Safe Mode, download and install the most recent stable version instead. Drivers are pices of code that act as a communication bridge from one part of your PC, such as a peripheral, and Windows. They allow your operating system and your hardware to understand each other and work together correctly. It’s important to keep your drivers updated, because those lines of communication are important to keep clear. New versions also reduce bugs and improve performance. Though Driver Reviver keeps all your drivers updated, keep in mind that it doesn’t deal in beta drivers, only stable ones.